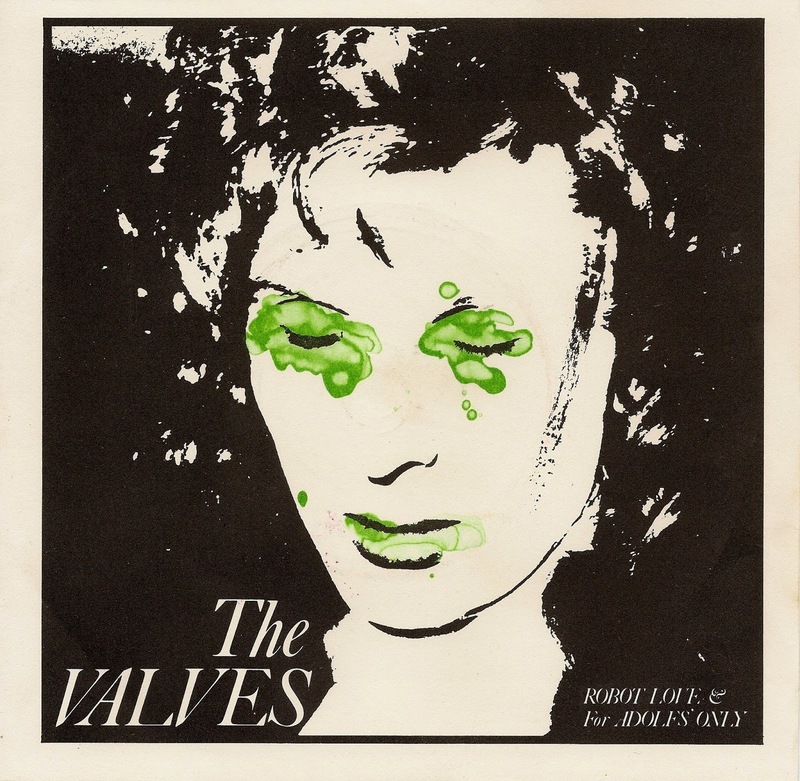 I don't have much info about THE VALVES, but they were from Edinburgh, Scotland, and this single is from 1977. "For Adolfs' Only" is the more compelling track, though I'm unclear what the hell they're singing about. According to Wiktionary, there are 3 definitions for piss artist: someone who is frequently drunk, someone who claims knowledge or understanding that he does not possess, and someone who frequently ridicules others. Which one is Adolf? All 3? "Robot Love" is still at least half catchy, but a bit more goofy and far less driving. But with lines like "we could go drinking with all the stars, but there's no atmosphere in the outer-space bar," how can you go wrong? Overall, this is a nice single to have in your arsenal for your DJ night!